I’m very interested in your work! 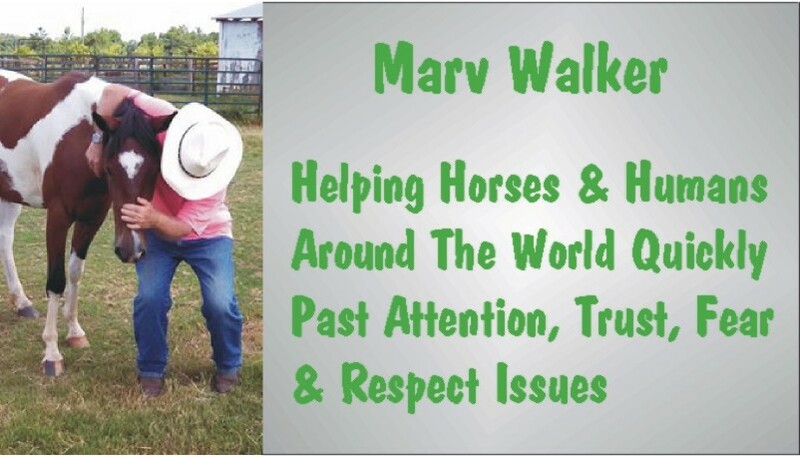 I have done a fair bit of Natural Horsemanship with my horse and although I have not done the Bonder as you set it out, I have a horse that is extremely responsive and respectful at liberty or on a long line. He will move, stop or turn at any pace from the slightest indication. So far so good. I still have occasional problems out on the trail. He can become very nervous and I feel the leadership I have on the ground has evaporated. The natural horsemanship solution has been to move his feet. This is fine when there is unlimited space but here I mostly have to ride on narrow roads with a line of cars behind me! I try to keep him listening to me by moving his feet as much as space will allow, backing up or sidepassing. I have also had to be extremely firm (with a large pair of blunt spurs) about insisting he go forwards even though he’s nervous as he would other wise whip round. I’m honestly feeling a bit stumped. This is a very respectful horse that you can ride through a building site on a good day and he’ll happily go up to flapping tarps etc but I still don’t have his unquestioning trust to anything like the degree you talk about. "Natural Horsemanship is a philosophy of working with horses based on the horse's natural instincts and methods of communication, with the understanding that horses do not learn through fear or pain, but rather from pressure and the release of pressure." Another might use "without the use of force." It seems like someone came up with a lofty definition and then everyone thought, "WOW! That's so cool!" "Natural horsemanship" is a buzz phrase to hide behind, a description that is subject to anyone's opinion, and not anything you can hold in your hand and examine. Isn't pressure pain? Isn't releasing pressure releasing pain? Isn't pressure force? Isn't the release of pressure the release of force? What is it when I see a media darling "natural horsemanship" guru at a demonstration showing someone with a horse who loaded rather hesitantly but loaded for its owner how to properly load the horse, naturally, and three hours later still doesn't have the by then all foamed up horse loaded? What is it when most tout thin rope halters tied with knots strategically placed over the horse's facial pressure points to increase the pressure and thus "make the horse more responsive?" How natural are "Be Nice" halters and heavy pieces of metal dangling below the horse's chin to be whipped side to side. If all that is "natural" I wonder what I do is called? I make every effort to use the exact same things the horse uses to interact with the other horses and use every thing the other horses do to interact with it. People are social animals. They exist for the good of the group and strive to do what the group wants so that they can fit in with the group to their individual benefit. This pleasing the group to benefit the individual is extremely fluid and confusing because the group has no real structure. Horses are herd animals. The herd does not exist for the group, the herd exists for the individual. Horses and humans are two totally different groups governed by two totally distinct natures. Every member of the herd is genetically pre-programmed to respond to an extremely rigid dynamic. That dynamic is "take what rights you can take and honor all rights you can't take." EVERY horse understands and accepts that dynamic. We refer to that dynamic as the "pecking order." Traditionally we are bringing the horse programmed for the individual dynamic into the group dynamic and trying to conform it to the group dynamic. They get along as long as neither party does nothing the other party won't accept or can't live with otherwise the horse goes on down the road to who knows where. What I strive to do is to go into the horse's world which I can easily do by duplicating the same exact actions the horse is pre-programmed to respond to and controlling its actions (WITHOUT TOUCHING IT) until it accepts me as being a higher ranked being in the "herd dynamic." Then I move that relationship wherever I want it. Since I am at the top of the pecking order all the horses below me look to me for direction. Whenever the horse is uncertain about something it looks to me to see how to react to their concern. Since I am the herd leader I its reaction in place. We see this when some of the herd is spooked, and they take off, they will only go a short distance until they see the rest of the herd is just grazing along with the leader. They then circle around and come back with a "just practicing!" expression. If the lead mare takes off the whole herd follows and they will go as long as she goes. In despooking a horse I do not despook it to a particular item. I do whatever I can to spook it so I can teach the horse, when spooked, LOOK TO ME! I'll handle the spook." And now we come to you. I am not the least bit interested in "moving the feet." Moving the feet is giving into fear. It is also the first part of bolting. I want to CONTROL the feet. If you will notice you report several things you resort to to move the feet, one of which is spurs. Moving the feet is an adaptation of "Make the wrong thing hard and the right thing easy." My feelings about that are, "DON'T MESS WITH THE WRONG THING! Do the right thing from the get go." If I have instilled "Look to me!!" in the horse I can control rather than move the horse's feet. I once found myself in a "put up or shut up" situation. I was taken to a place where there was a horse that wouldn't load. As we were heading there the person who hauled me in said, "The horse hasn't loaded in years and a good number of big names have tried to load her." When we arrived there was an unhooked two horse sitting in the middle of the field with people settled in for the show in portable chairs and coolers. I walk up there and the owner hands me a lead line and grabs a chair. I lead her slightly to the left and then to the right to see how she led and she seemed fine. Then I walked her up and she got in the trailer. The spectators started whooping and hollering and flashbulbs were going off and people were asking me how I put her in the trailer. I told them I didn't put her in the trailer she was way too heavy for me to lift. Then I explained two things, one, it never occurred to me she wouldn't load, and two, if she had given me the slightest indication she wouldn't load I would have stopped her right there, gained control of her in one place and then I'd ask for an inch toward the trailer. If she gave me an inch or a yard I'd have repeated the step. I gain control of the horse and move the control where I want it to be. If the horse hesitates it is concerned something may happen. If we whip the horse, push it, pull it, work it back and forth behind the trailer until it manages to find its way in, whatever, we are telling the horse by our actions, "You were right to be concerned!!!" ALL peace, ALL comfort, ALL security is in the herd and it ALL depends on who the horse views as the leader. The "bonder" shows the horse who the leader is. When the horse consistently seeks proximity to you it is demonstrating that leadership. At this point I do whatever I can to spook it and then when it leaves I bring it back (Look to me!). The horse will return to your proximity quicker and quicker and before too long the horse won't leave at all. You mention how well he does "ground work." He's really good mechanically, however he is not as connected to you as he can be mentally. Read the bonder over several times and then put him through it calmly and quietly to show him you have the ability to be looked to.